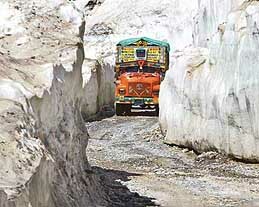 kashmir | high road to..
SRINAGAR: The Srinagar-Leh Road, the only surface link between Kashmir and the Ladakh region, was formally thrown open for the next six months on Sunday. Lt. Gen. S.S. Dhillon, General Officer Commanding of 15 Corps, inaugurated the reopening of the national highway, which was closed in November last. 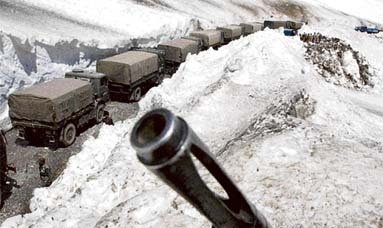 Lt.-Gen. Dhillon flagged of an Army convoy carrying essential stores for troops deployed in Ladakh.